This is the simplest and most cost effective type of fire detection system ideally suited for small business premises. Conventional systems allows you to have multiple detectors and sounders, each of which can be divided into zones. Although four-wire systems are more traditional, newer two-wire methods are available to offer cost savings on the installation. 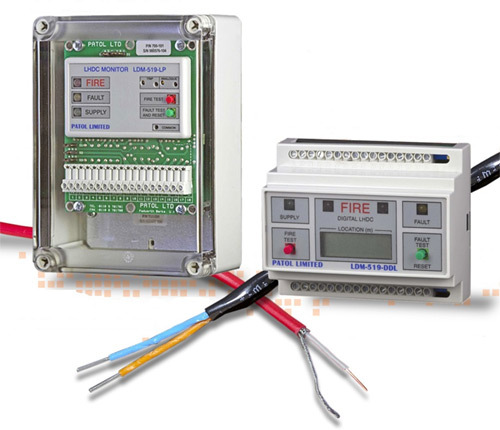 These systems are ideal for medium to large premises where each individual device is allocated an address (ID) to give clear indication of the position of a fire or fault activation. This will speed up response times as well as assisting in the evacuation of the premises. Addressable systems can be expanded by networking numerous control panels to offer site wide systems and can also be connected to a front end graphical user interface. As the systems are engineer programmed with cause and effects the systems can offer a vast array of control with building phasing and connection to external equipment such as voice alarms, plant shutdown and lift controls. These systems offer the same functionality as the addressable systems but with less or no cabling dependant on system type. This reduces disruption during installation. The technology has evolved due to new standards making these systems more appealing to the market. Wireless systems have the technical ability to integrate with wired addressable systems to create a bespoke / hybrid solution. Wireless systems are a great solution to historic sites, where preservation of the fabric and décor is required. This type of system is highly versatile and advantageous in that it has the ability to detect smoke at an early stage. A main detector unit analyses the air within the building which has been delivered by way of small holes in tubes installed within the premises. These systems can be installed in more challenging environments, such as atriums, large warehouses, head of lift shafts, high risk areas, for early detection within server rooms, data stores and for invaluable item protection. This system uses a projected beam of light to detect smoke in large areas, where obscuration of the light by smoke initiates the alarm. Optical beam detection systems offer a wider coverage at minimal cost compared to other detection methods, making it a perfect solution for large spaces which need to be monitored such as warehouses, atriums and swimming pools. This early warning detection method is most suited where other types of detection would not be viable even under the most difficult environmental conditions. This low cost system is ideally suited to car parks, tunnels, conveyors, escalators and within cable containments. For more information, take a look at our pages, or contact us to speak to a member of our team.